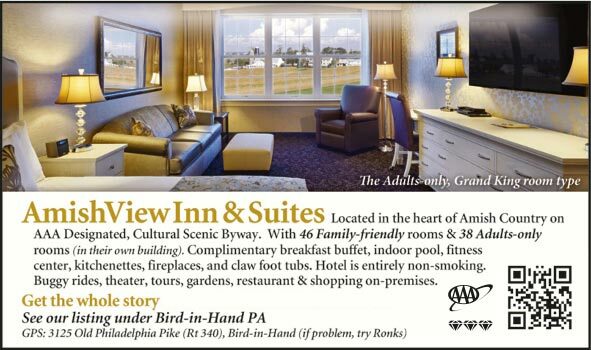 Most rooms have large picture windows overlooking the rolling hills and peaceful farmland of Amish country. It's breathtaking! 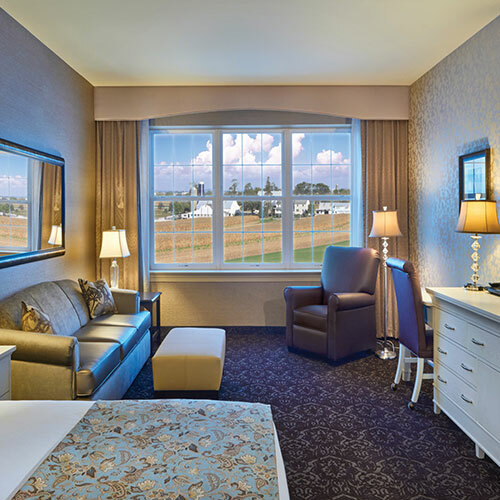 With grand views of Amish farmland, this hotel offers traditional rooms with large mahogany armoires and furnishings, and adults-only king guest rooms with luxurious design and 64-inch mounted TVs. The complimentary breakfast each morning includes a variety of hot items and an omelet station. Smoke free premises. 85 units, some two bedrooms and efficiencies. 3 stories, interior corridors. 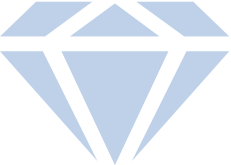 Accessibility (Call). On SR 340, 2 mi e. Located in a semi-rural area. 3125 Old Philadelphia Pike (Rt 340) 17505.